Kosode is regarded as architype of mondern Kimono.But its form was changed by age to age. 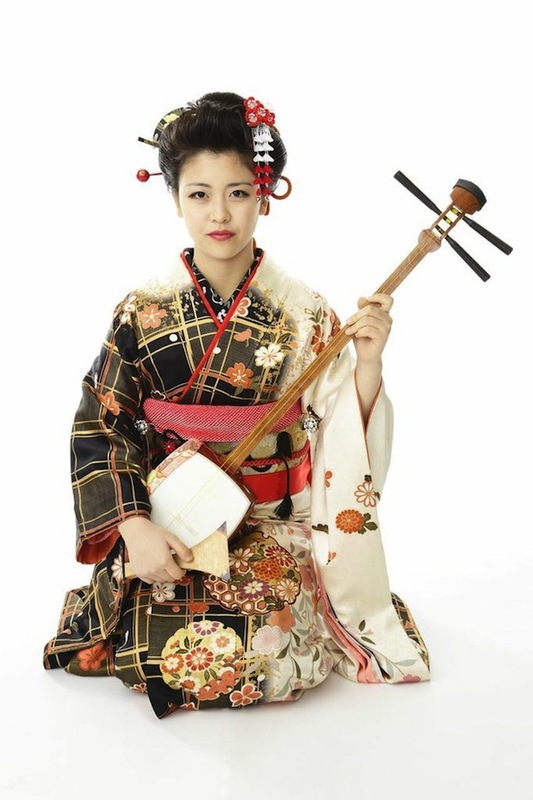 Modern Kimono is also included as Kosode in broad sense. Kosode is defined as Cloth which is open a bit and knock together. The Architype is the cloth spreaded from China in 3rd century. But Kosode as cloth form was established in Heian era. In the era,customs of wearing many cloth was spread. Kosode was treated as under wear. Then,customs of wearing many cloth came to be easy. Kosode came to be appearent. At the end of Heian era,The cloth which Common peole wear was Kosode. In Kamakura era,Samurai-class people came to wear Kosode in the way Kosode is the surface. After that,Kosode changed its form gradually and became nearly the same form of modern Kimono in late Edo era. The reason why We don’t call modern Kimono Kosode is that Its cuff became bigger and the name of “Kosode” was not suitable. Now,It seems many to call old era cloth as Kosode. In addition to this,cloth made of silk that cotton is stuffed Kosode. The dress code of Japanese Kimono for man is usually with Hakama and Haori. If a man wears Kimono with neither Hakama nor Haori, the situation is called Kinagashi. Recently, it seems that even if a man wears harori while without a hakama would be called as Kinagashi as well. 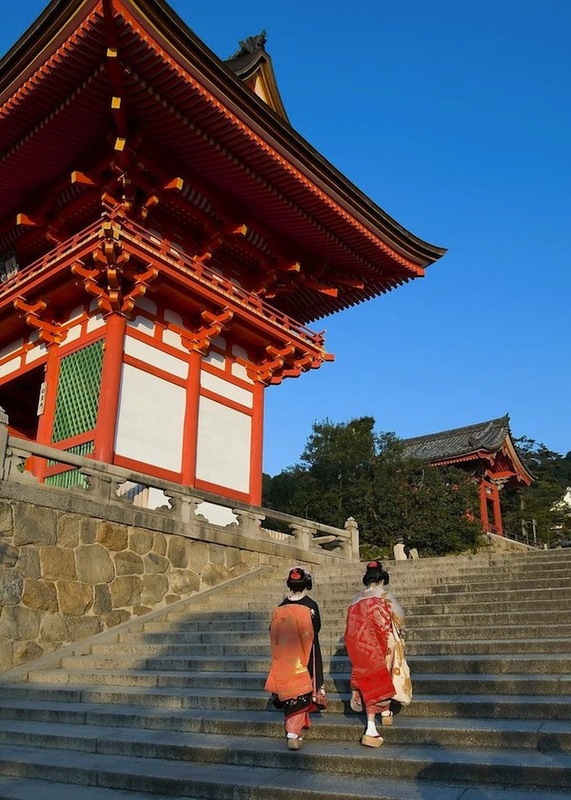 The most formal way for man to wear Kimono is to wear both Hakama and Haori. The less formal situation is only wearing Haori yet without Hakama. The most casual case is to wear Kimono without both Hakama and Haori, and which is the so called Kinagashi. In the edo period, it was custom that samurais wore hakama and high-ranked merchants wore haori. In the historic novel, sometimes the outfit of a specific character is emphasized to be kinagashi, which is thought to be because he is an outlaw or the author wants to indicate the scene is casual occasion. When it comes to female, except to disguise as a man, any form of wearing is not called kinagashi. It was the official wear for women to wear without hakama and haori. Thus when the wearing is described as kinagashi which means casual wear, it becomes incongruous. summer kimonos have two kinds of silk guzes, ro and shya. Both are “cloths with translucency ,” but a close look shows as if ro-gauze has lines at an equal interval. Shya-gauze has no such lines but looks transparent evenly all over. The ro-gauze appears to have lines because a part with a gap and that without comes alternately, and the part with a gap is called “ro-me.” The ro-me that runs laterally is called Yoko-ro (Lateral-ro) and lengthwise Tate-ro (lengthwise-ro). Sha historically are older and are easier to weave. However, there had been a problem of laying patterns beautifully as there was too much gap. So then Ro were created as an impoved version of Sha in near the Edo period. Ro showcase colors more beautifully, and are not excessively see-through. So many summer kimono we see now are made of Ro. However, many people still adore Sha as they provide more cooling effect, and Sha have this distinctive gentle texture. Also, Sha are sometimes made into “Sha-Awase” by stacking two fabrics together. These are not commonly used, so you can tell how much she loves kimono if you see a person wearing Sha-Awase. There are 2 types of Nagoya obi, hassun Nagoya obi and kyu-sun Nagoya obi. Hassun Nagoya obi are made of obi (kimono belt) fabrics which are hassun (about 30cm) in width, and only their tare (trails) are folded and sewn. The part wrapping around the body stays as they are, and there are no sash padding are used either. As no sash padding are used, obi fabric itself is stiff. But it’s distinctive because the finished obi are light. Kyu-sun Nagoya obi are made of obi fabrics which are kyu-sun (about 34cm) in width, and it is worn so both sides of obi are folded into the inner part of obi. They are folded in two at the trunk, and in some cases lining fabrics are sewn without folding obi. In either case, sash padding are inserted. Obi fabrics are thin and soft. But sash padding are inserted, so the finished obi are heavy and thick. There is no limitation of obi fabrics like hassun Nagoya obi, so many Nagoya obi seen nowadays are kyu-sun obi. Because it is easier to make hassun obi, and kyu-sun obi’s finishing look is more profound, it is said that hassun obi are more for casual use. However, it is hard to say which obi are of higher rank as there are gorgeous looking hassun Nagoya obi and light-weight kyu-sun Nagoya obi. Both obi can be used as Nagoya obi. The Kasane means layers of kimono or to layer kimono, but it also means the combination of color. It is referred to as ” (combination of color)” and it is the abbreviation. For example, “Kiyanagi-no-Kasane” means the combination of colors of thin yellow in the front side and green in the lower side. It is not necessarily refer to the colors of the kimono worn top and under, but sometimes the outer and the lining. 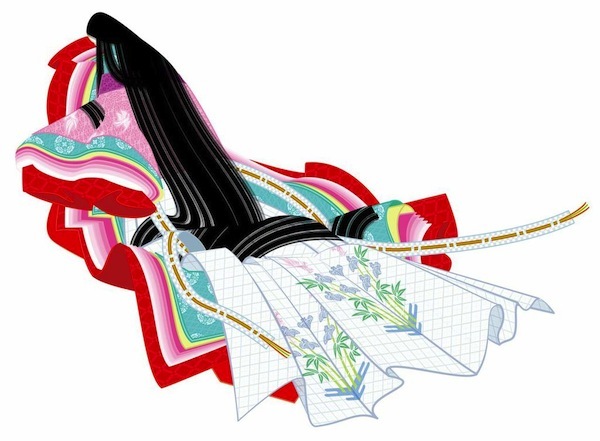 It is the Heian period that the concept of Kasane-no-Irome was born and each combination of colors was established with name. However, it is said that it is more recently, the Edo period that it was referred to as Kasane-no-Irome. It is not the usual expression which uses in daily life, but there is a person who is aware of the Kasane-no-Irome when combining colors for kimono and inside cloth used around cuff and hem. In addition, when the bride wears 12-layered ceremonial kimono at a wedding, it seems to follow the Kasane-no-Irome traditionally. Recently, apart from the color of the traditional Kasane-no-Irome, the beautiful color conbination may be referred to as Kasane-no-Irome. The date-eri or kasane-eri is the decoration neckband to put between the collar for under kimono and that of kimono. It is mostly used in formal kimono dress, but also worn as a simple decoration in casual dress recently. Originally high-class kimonos were worn in layers, but it went simplified and then we began to use the Date-eri to show as if we wear layers of them. There is no particular rule for the color or the material, so you can choose one according to your taste. No particular rule how much to show either, often 1-2 millimeters or so in the width. Note that it is not always necessary to wear it even in formal dress. Many don’t wear Date-eri but rather make gorgeous Han-eri (quality collar for an under kimono) or just prefer simpler way of dressing. It is just cloth, so you may be troubled how to fasten it when you wear it for the first time; it can be fixed generally with the clips or the likes, or sewn on the Han-eri, too. In doing this you have to fix or sew it only by the part behind the neck and arount the shoulders so that you can adjust how much to show from the front neckline in dressing. Miko’s costume consists of Byakue/ Hakui and Hibakama, and they generally wear white tabi and Zori as footwear, and wear a ponytail in the back of your head. It may vary a little between shrines, but they are mostly the same. 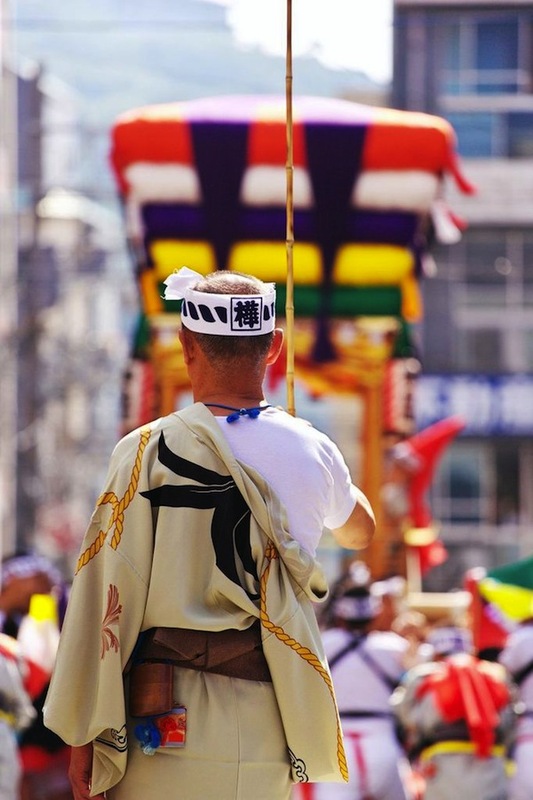 Byakui is explained as “white Kosode”, but it can be simply described as short white kimono. When wearing, you do not pull the backside (emon), and let the front of your kimono overlap tightly up to your neck (don’t wear them loosely). Hibakama means “hakama with the color Hiiro”, and Hiiro is a type of red color. They are generally Andonbakama which is easy to move along in your daily life, but when dancing Kagura-dance, Jouba-bakama (Horseriding -bakama) are sometimes worn to let your legs move freely. You don’t tie obi underneath, so the backside does not plump out that much. In formal places, you wear a jacket called Chihaya over these clothing. There is a similar thing called Suikan, but to explain it roughly, the front is open for Chihaya but closed for Suikan. It is defined that present Miko should wear Chihaya, but Suikan were also previously used, so if you are designing them for costumes, it is not a mistake to match Suikan with them. Hakama is men’s formal wear, but in the Heian era it is said that both men and women wore them. After that period, women’s hakama were omitted, but in the Meiji era its easiness to move was recognized, and people started to wear them again. Nowadays, it is common to wear them in graduation ceremonies. There are Andonbakamas which is like a skirt, and Umanoribakama which is like pants, but the original hakama is umanoribakama. Andonbakama is a simplified hakama to make it easy to wear, but nowadays these two are regarded as equal in class, and there is no difference in formality. When wearing hakama, you wear your kimono a little short in length, and men wear Tunoobi and tie them in Ichimoji style, and women wear Hanhaba-obi and tie them in Bunko style. The knot of the obi goes underneath the hakama, and thus becomes the foundation. When you put your leg in the hakama, you lift your front side, and you adjust your hakama so your obi shows a little from the top; then you pull the string to the backside of your body, then to your front, and finally to your back again and tie it. Next, you lift the back part up above your obi, and bring the string to your front, then to your back, and finally tie it in your front. There is a formal way to tie it, but when wearing them in daily occasions (not formal occasions), bow knot is just fine. Tamoto, it is a part look like bag under the sleeves of Kimono. It’s part of the sleeves, so there is not component that it’s called Tamoto. Tamoto like bag, so we can put something inside but it is not useful as a pocket because it is easy to fall something that we put inside because of shape of Kimono for women. The part which the side of the sleeves, Furi is open. It is good enough to handkerchief or pocket tissue. There is no Furi and inside of the sleeves are closed, some people put a wallet in Kimono for Men. Sometimes undershirt goes out of Furi, to prevent it, it is good to pin the undershirt’s sleeves with Tamoto from the inside. There is a expression “separating the Tamoto”. it means breaking relationship. There are many theories, but no one explain the meaning clearly. Also ther is a expression “put together Tamoto”. It means doing same action and share own fortunes as a comrade. 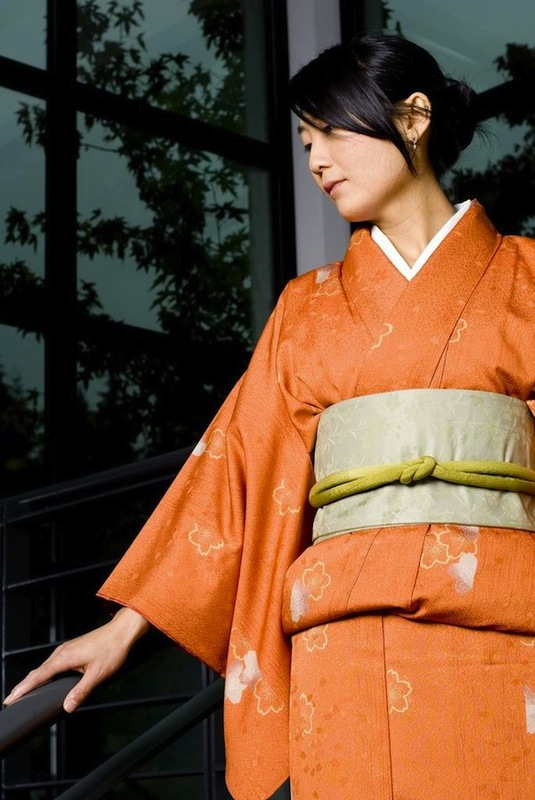 The okumi is a thin piece of fabric worn in front of the kimono at slightly lower than the waist. Although a whole long square cloth called “Tanmono” is used for making a kimono, it is cut in half for making the okumi and collar. As you reform a kimono, do not forget that there is a thin piece of fabric coming out at that part, so you won’t waist any clothes. This kimono is open in front, so the front fabric has to be wider for the overlap than the back fabric. The additional fabric for the overlap is the okumi. The okumi by itself doesn’t have a specific meaning. 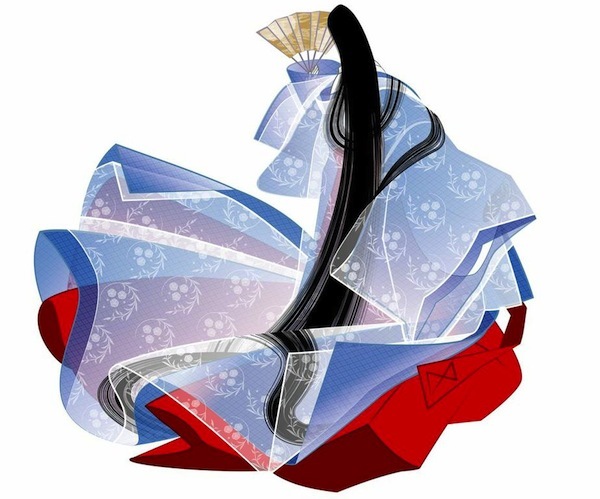 As for the origin of the word, the former style of the kariginu, which are informal clothes worn by the nobility from the Heian period onwards, was called ‘Ookubi’. Then it’s said that it was changed into “Okumi”. The stitches between the okumi and the main part of kimono is called “okumi-sen” (meaning okumi-line). This term is sometimes used for wearing a kimono. Standing straight up and placing the left okumi-sen at the middle of your right foot and leg, then the kimono position is the proper way of wearing a kimono. Moreover, if the okumi-sen of Ohashori and the lower okumi-sen are lined straight, it will make your kimono look more beautiful. It is okay if you can’t make them a perfect line, but if there are too much gap between those two lines, you may want to fix it because some part could be loosen or a edge of a piece of fabric could be stuck in a string.